Up to 6 students can be guided at the same time while reading or pronunciation exercises. 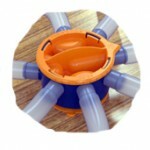 The WhisperPhone Select set contains a center dial and 6 flexible tubes with each a WhisperPhone. This WhisperPhone center dial Unique is the central dial, which allows you to monitor and assist one student at the time. 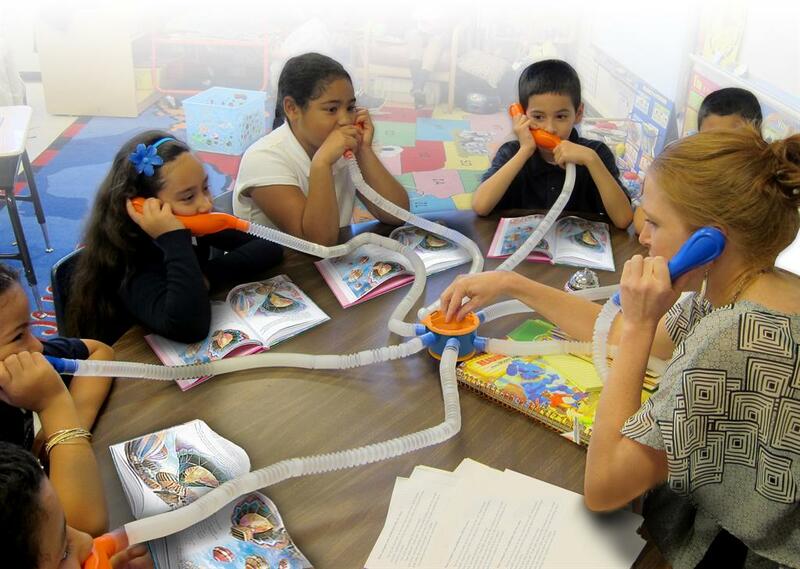 The central dial of the WhisperPhone offers also the possibility to create 3 teams of 2 students for paired reading and teamwork exercises. 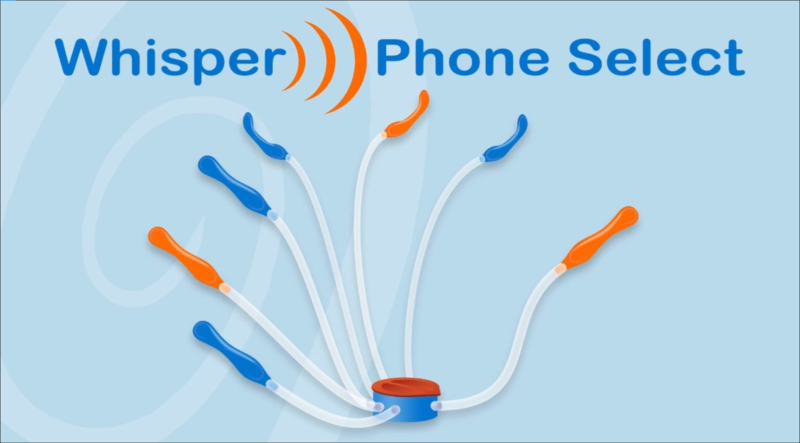 The WhisperPhone Select is made of high quality material and, like all other WhisperPhone products, very easy to clean.